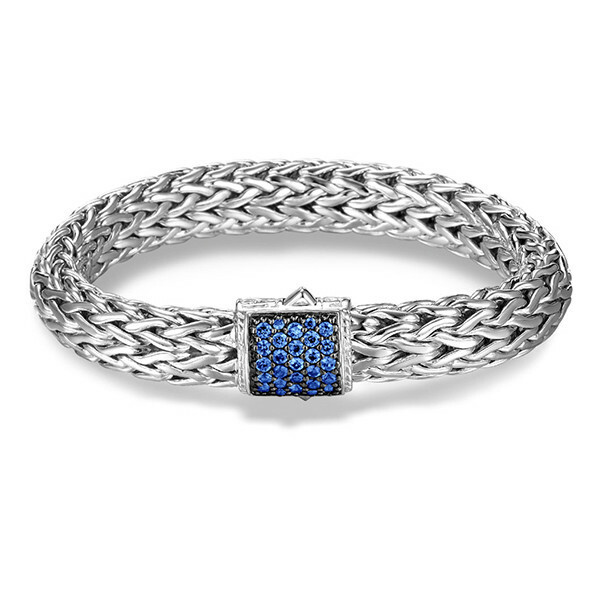 This gorgeous braided bracelet is part of John Hardy's Classic Chain collection. Intricately crafted out of sterling silver, this 10.5mm bracelet is handwoven and features a sterling silver clasp. The clasp is decorated with vibrant blue sapphires which give it added appeal. This luxurious John Hardy bracelet will elevate your chic style to new heights!